코타오, 태국의 슬립 인 업사이클드 게스트하우스 | 호스텔월드에서 예약하세요. Sleep Inn Upcycled Guesthouse was renovated in December 2016, using as less of new materials as possible. We try an alternative way against the stream of massive construction of new buildings on Koh Tao. To avoid producing more waste on this small tropical island, we restore used things and built 'new' stuff out of 'waste'. For the comfort and safety of our guests are bedding, mattresses, plumbing and electric equipment excluded from the 'upcycling' principle. 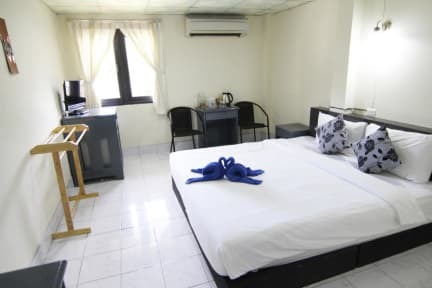 We offer 13 clean & comfortable double and twin rooms located in the 2nd and 3rd floor. 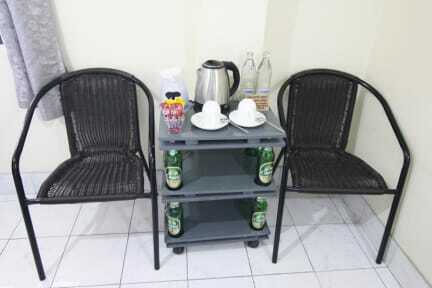 At the ground floor you can meet other people at the communal sitting area, have a drink and relax. If you need advice about the island feel free to ask.